Build your own kit for just $99 including free shipping Here. 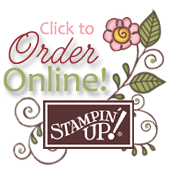 You’ll instantly become part of the Stampin’ Up! family and The Ink-Spirations (My Stampin' Up! Team). Stock up! And receive a discount! Up to 25% discount! Enjoy a minimum 20% demonstrator discount every day. Enjoy Sneak Peeks and Early Ordering Privileges. No risk! "Test drive” demonstrator discounts and benefits. No penalty! If you reach $300 in sales by the end of the first FULL quarter (the date you join), you will renew and remain active for another quarter. If you don’t reach $300 in sales, you can simply “drop” with no penalty. No catch! You can enjoy your demonstrator privileges with no obligation. Purchase your favorite crafting supplies at a discount for yourself and/or share your paper crafting knowledge with others to earn extra include for ________, you fill in the blank. Whether you want to earn a little extra cash for something you're dreaming of or you simply want the discount on your crafting supplies, there's a place for you on my team.